Home Entertainment Fashion Slider the 15k campaign on Kickstarter came to an end short of their goal Video LIPSTICK RED, the failed Kickstarter film that’s being made REGARDLESS! 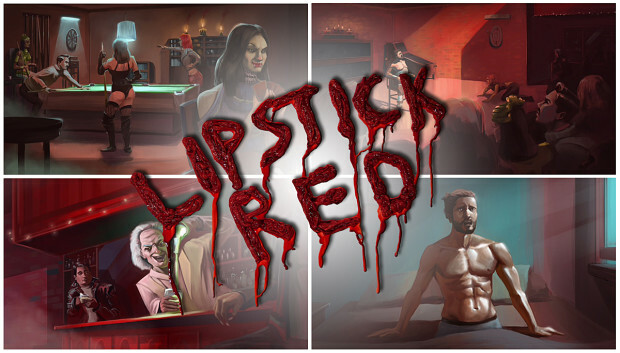 LIPSTICK RED, the failed Kickstarter film that’s being made REGARDLESS! Los Angeles, CA, 2015 - Perhaps you remember the original hype about Lipstick Red, the short film by female rock band Flint who launched a Kickstarter campaign back in early September. With tons of “bone chilling” perks, Lipstick Red promised fans of classic horror movies like Frankenstein, Dracula, The Rocky Horror Picture Show, and Thriller a new film to be excited about. Unfortunately, the 15k campaign on Kickstarter came to an end short of their goal. But this little Horror film just won’t die! In what the Lipstick Red team is calling a “Lightning Round” they have begun a campaign on IndieGoGo to raise whatever money they can claiming, “we’re making this film regardless”! You got to admire the gusto! Unlike Kickstarter, IndieGoGo gives these film makers the opportunity to keep any money raised regardless of the goal set. This allows them to use whatever money is received toward the film which begins shooting on October 3rd. And they still have a ton of the same great perks that their original Kickstarter offered!